Unexpected questions often come up during a job interview. Be prepared to discuss a variety of subjects, including an explanation of why you were fired from a previous job. Certain jobs just aren’t a good fit for every kind of employee, and being fired shouldn’t count as a black mark on your resume as long as you can properly and professionally explain why it happened. These tips will help you address this sensitive subject in a professional manner. Don’t badmouth your previous employer. Don’t try to cover it up. If you get caught lying about being fired, your credibility with a prospective employer will be gone. Being honest about why you were fired will show integrity and accountability. This sort of discussion is difficult to sugarcoat, so it’s best to approach it with honesty. Whether the problem with your previous employer was caused by a conflict of personalities or business performance, explain why it turned out to be a positive experience. Avoid placing any blame. “I didn’t clearly understand their expectations, and it led to an uncomfortable situation in the office” sounds better than “They never informed me of their expectations.” It’s important that you don’t give a rambling, unprepared speech about why you were fired. Practice what you want to say beforehand. 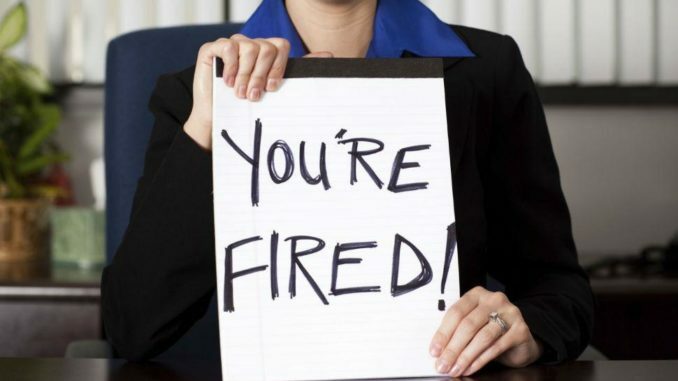 Be aware of the importance of showing a future employer what you learned from being fired. Remember, the best kind of wisdom often comes from our failures. Do you have any tips on how to explain why you were fired from a previous job during an interview? Let us know!